Bagalkot or Bagalakote is a district in North Karnataka that has a rich historical significance. 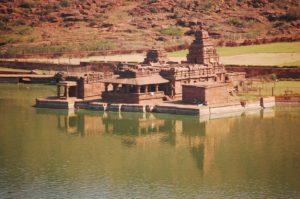 Bagalkot was the capital of Chalukya kingdom. 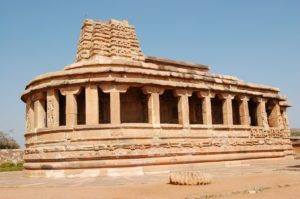 There are several historical stories that connects Bagalkot. According to legend, this town used to be ruled by Ravana, the king of Lanka. He had gifted this town to his musicians (called Bhajantries). Another story says that this town was gifted by one of the Bijapur kings to his daughter as part of a marriage tradition. Bagalakote is located at around 600 km from Bangalore, and 400 km from Hyderabad. The name Bagalakote is believed to be derived from two Kannada words: Bagilu and Kote, which means door and fort respectively. There used to be a fort in the town, and two huge doors to enter the fort, and it is believed that the town gets its name because of these huge doors. This district has three places of interest that shows the rich culture of Chalukya Kingdom. 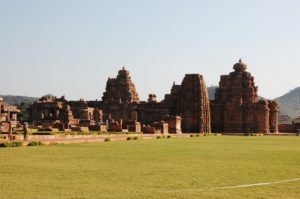 Badami, Aihole and Pattadakal. Please see the respective pages below.